I was stunned. Did she not hear the heartache within my tale? Did she not understand how painful love could be, even when it came to a good end? I realized there’s a difference between observing a so-called romance and actually living one. Romances don’t always turn out the way we envision them. We can trick ourselves into believing that a romance will always “feel” romantic (basically all those bubbly, yummy emotions), or that it will meet certain conscious or unconscious expectations. Even the romance-seeking Anne in Anne of Green Gables, became confused and required a “romance adjustment” from her guardian, Marilla. The sacrifices that Gilbert made out of his love for Anne didn’t fit into Anne’s concept of “romance.” She envisioned a somewhat mysterious, wealthy, and heroic suitor who would win her heart with poetry. But Gilbert’s every day kindnesses struck Anne as too ordinary to be romantic. In the daily stuff of life, Anne missed Gilbert’s repeated professions of love. Read the full article Hopelessly Romantic to see a great example of how our view of “love” affects our daily lives and long-term decisions. and magazines give us a global bird’s-eye view of the world’s winners—and losers. And we’re fascinated by it, aren’t we? But what does it mean to succeed in life? Furthermore, given how the world reacts to successful people, and considering the negative ways that many people strive for personal achievement, is success even a godly pursuit? Let me answer that question right from the start: Yes. As followers of the Lord Jesus Christ, we are not only allowed to strive for success; we’re called to do so. God is overwhelmingly interested in our victories, but as sinful men and women, we often get confused about this issue. 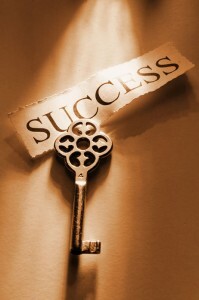 Therefore, we must begin by understanding a true and godly definition of success. Read the full article God Wants You to Succeed by By Charles F. Stanley. If the above link does not work, the article can be found in the February 2010 InTouch Magazine archives.